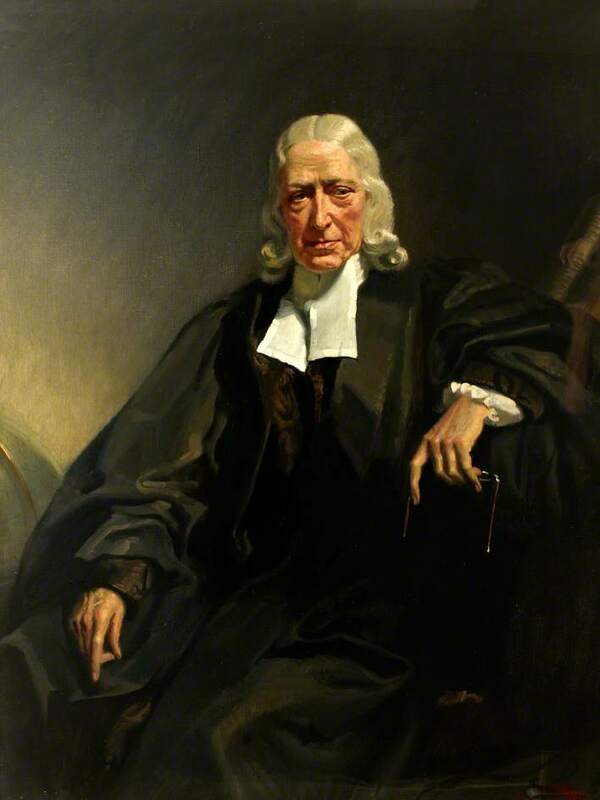 Maybe John Wesley wasn’t such a doctrinal avant-gardist after all. It seems esteemed church fathers anticipated his most hot-potato teaching, the one that squirms prim Calvinists. The 18th-century Anglican priest, British evangelist and accidental founder of Methodism confounds some of John Calvin’s die-hard fans, who often conceive themselves as Protestant orthodoxy’s guardians and weigh all proposals on the Westminster Confession and the Canons of Dort. Puritans hammered-out the Confession in 17th-century Britain while the Canons were issued after a Dutch gathering convened to respond to the followers of Jacob Arminius. The Arminians, aka as the Remonstrants, longed to soften Calvinism’s hard-edged determinism. Politics muddied the debate in the Netherlands. The nation was splitting from Spain’s empire and the Calvinists viewed the Arminians as Spanish sympathizers. The Arminians didn’t stand a chance. Their proposals were rejected, with the government even executing one Remonstrant and throwing others in jail. Calvinists, such as the cordial Michael Horton, like to characterize the Synod of Dort as a Protestant “ecumenical council” (see his For Calvinism). After all, British Anglicans and German Lutherans were at the scene. But that’s a stretch. The Synod’s directives were never binding in Germany and Britain and most Anglicans veered Arminian. Wesley planted himself in that tribe and poked fun at the Calvinists. Which flummoxes Calvinists. They don’t know what to do with Wesley. He was creedally orthodox and preached from the Bible — and the Holy Spirit clearly used him in spurring a revival. Yet he lifted up that loathed theologian, Arminius, whom many falsely accuse of Pelagianism (an ancient heresy denying original sin). Many of Dort’s heirs settle with the myth that Wesley was more similar to Calvin than the dreaded Remonstrants. His theology, they tell themselves, was messy. He’s really part of the team. But then there’s his embarrassing, hot-potato teaching — the one which no one with any biblica mojo would accept. Wesley possessed the gall to suggest that followers of Christ could reach a state of sinless perfection while they lived on the Earth. He laid no claim to the experience himself, but he culled the Bible and found passages suggesting that some might avail themselves of God’s grace and live such a life. Read all about it in A Plain Account of Christian Perfection. The Calvinist reaction: Impossible. Can’t be. Everybody and his kid brother knows Sin clings to us totally depraved beings until we part this mortal coil and join the heavenly chorus. Wesley must’ve had a bad night: There’s no precedent for this. Fact is, Wesley was well versed in the Eastern Church Fathers, and they discussed achieving perfection every morning, over coffee. These fathers knew all about sin, but they also knew that God’s grace is stronger than sin and may overpower it in some believers. In other words, Wesley was as orthodox as they come. Twenty-first century American evangelicals might go slack-jawed at his holiness doctrine, but that only proves they’ve been flooded with pessimistic Calvinism and Dispensationalism (a theology that splits history into several distinct phases, or dispensations). Their 19th-century ancestors wouldn’t blink: They lived in the “Methodist Century” and viewed sinlessness as a possibility. I actually began to toy with the idea of reaching such a state (trust me: I’m far from it now): What would it look like and feel like? For one thing, I wouldn’t brag about it because I’d be happily humble. I think I’d match the description someone gave about C.S. Lewis. He was totally uninterested in himself and far more interested in others. That’d be cool. And I thought: Where’s the harm in shedding every ounce of illegitimate lust, egotism, and selfishness? Would I hurt anyone if I grew into a thoroughly godly man? I’d be less thin-skinned and more loving at the same time. Again, cool. I’d be a blessing to one and all — including myself. Maybe I’d even confound some Calvinists, which is always fun. So whoever ‘sees God’ receives, in this act of seeing, possession of everything that is good: incorruptible life without end, blessedness that cannot fail, a kingdom without end, happiness without limit, true light, the true voice of the Spirit, glory never before reached, perpetual rejoicing, and all else that is good. The promise of this Beatitude gives us the right to hope for these great things. All this sight of God is conditional on having a pure heart – and thinking of this, my mind is once more teetering on a dizzy peak. What if purity of heart is one of those unattainable things that are simply beyond our human nature? If, on the one hand, it is by purity of heart that God can be seen, and if, on the other hand, Moses and Paul did not see God and said that he could never be seen, it follows logically that purity of heart must be impossible, so that in pronouncing this Beatitude, the Word is putting forward something that simply cannot be. How can we benefit from knowing the means by which God can be seen, if that means is impossible for us? Suppose, for instance, that someone told us it was good to find oneself in heaven because there one would see things that cannot be seen in this world. Now if he also told us how a journey to heaven might be undertaken, there might be some use in telling us about its delights. But as long as the journey is impossible, what use is it to think about the happiness that might lie at the end of it? We would simply suffer and be sad at the thought of the things that await us somewhere where we cannot go. Does the Lord really encourage us to do something that is beyond our nature and our powers to accomplish? Surely not. Look at the birds: God has not created them without wings. Look at sea creatures: God has not designed them as land animals. Wherever we look, the law of each creature’s being does not demand that it should do something that it is beyond its own nature to do. Let us reflect on this and realise that we should not despair of the purity of heart that the Beatitude speaks of. John, Paul and Moses did not, in the end, lack the sublime blessing of seeing God. Paul said There is laid up for me a crown of justice, which the Lord, the just judge, will render to me; John lay on Jesus’ breast; and Moses heard God say to him, I have known you above all. It is certain that those who said that the contemplation of God was beyond human power were themselves blessed. But blessedness comes from the contemplation of God, and seeing God is something that comes to those who are pure of heart. It follows logically that purity of heart cannot be an unattainable thing. So if some, with Paul, truly say that the contemplation of God is beyond human power, yet the Lord himself contradicts them by promising the sight of God to those who are pure of heart. Yes, Amen! The whole of Paul’s first letter to the Thessalonians climaxes in 5:23: “And the very God of peace sanctify you wholly; and I pray God your whole spirit soul and body be preserved blameless unto the coming of our Lord Jesus Christ.” The purity of heart to which you refer includes the whole of the believer’s being: body, soul, and spirit! Happy seeking!